Every Thursday evening in Sedona, Arizona, Elyce facilitates a group teaching and discussion at 7pm around a Gene Key of the Week from the Gene Keys book, followed by an hour of meditation for personal healing and global transformation. To Attend, contact Elyce at elyce@elycemonet.com and she will give you the address and gate code access. This book and these circles are an invitation to begin a new journey in your life. The beating heart of the Gene Keys Synthesis, this is the codebook describing all human states of consciousness, from the deepest fear-based patterns to the most awe-inspiring possibilities in our DNA. A vast work of vision and depth, this is a book to contemplate over a lifetime. 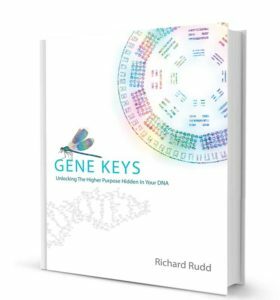 It can be used in many different ways – as a companion to explain the Gene Keys in your Profile, as an oracle and daily inspiration or as a spiritual path in its own right. Many people have testified that simply reading this book brings them a profound understanding of their life, relationships and higher purpose. Written in a poetic yet practical style, the Gene Keys book points you towards the beauty that already lies inside you and invites you into a world where anything is possible.